Ancestral Medicine is practiced globally and has been throughout time. It’s a healing that allows us to get in contact with our past and recent ancestors in order to heal old wounds. This is root wisdom at its best. It is a spiritually grounding process that allows you to repair, heal, connect and nurture relationships with your ancestral wise ones. Healing is a very important aspect of your entirety as a person that assists in your spiritual, magickal and of course your earth walking journey that surrounds you with loved ones, colleagues and acquaintances. This type of healing process is important as it assists in clearing emotional and energetic patters created by previous generation. So take the time to revisit your ancestors, make peace with them and allow the flow of energy to be one that is beneficial in your life. Resolve any emotional wounds, unresolved conflict, damaging judgement and other limitations to help you move forward. Such imbalances or ‘road blocks’ can impede on your life where it interferes with your health, finances, relationships and the list goes on. 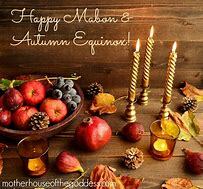 A wonderful time for Pagans to do this is on Samhain, however any time is the best time. Every full moon you also have an opportunity to release any energetic patterns and partake in Ancestral healing. Now its time to create your own ceremony! Be as creative as you dare, do it on your own or invite who you wish those in flesh and in spirit and may your journey be a blessed one. Spent the last 2 days at my younger daughter’s watching the 3 and 5 year olds yesterday and the 3 year old today. Decided I’m really not to old to play outside with my grandsons even if it means my knee will hurt. When I got home the sun was shining, temperature was great so I took my girls, Cleo and Star, outback. The best part of the day was being able to stand barefoot in the grass and feel Mother Earth’s energy as she is waking up from her winter slumber. To me there is nothing that feels better beneath my feet than the soft green blanket covering the ground in my own backyard. I hope your day was as good as mine. Blessed be dear ones. I have been using this method on and off for many years. I had stopped when I had minor knee surgery in November 2018 and the place I was working closed their doors for good on December 20, 2018, not because they wanted to but because the bank that had foreclosed on the strip mall it was located in decided after 7 years to kick all the businesses still operating out and being a small restaurant the funds needed to open in a different location were not available, these are two of the things that helped to contribute to me once again going into a major depression and anxiety/ panic attacks coming back into my life. I allowed myself to become more focused on negative things in my life then the positive things. Usually I am an optimistic person unless I stop doing the things that keep me this way. The method I explain below is a very important part of my spiritual path and mental health. This method of balancing or centering and ground yourself requires getting up just as the Sun breeches the horizon. So it is not for those who like to sleep in some. Go outside and stand on the grass, dirt, sand, or whatever direct contact you can to Mother Earth/Gaia (1) as close as possible to being in between the rising Sun/Ra/Savitr(Hindu name of God at sunrise and sunset) (2) and the setting Moon/Triple Goddess/Luna (3). Say hello to and state your intention to ground to which ever Earth Goddess name you choose. Thank the Earth Goddess for her grounding and energy. Say hello to which ever Sun God name you choose while facing the direction the Sun is rising. Thank the Sun God for his warmth and energy. Next turn to the direction where the Moon Goddess is. Say hello to whatever name of the Moon Goddess you choose. Thank the Moon Goddess for her guidance and energy. After I am grounded well and start to feel centered I open myself up to The Great Mother and Great Father asking them to cleanse all negativity, fear, anger, pain, and whatever else comes to mind all the way down to my cellular level. To push it down my body into Mother Earth to rejuvenate and renew it into positive energy to use however she needs to. For me I can actually feel energy moving through out my body and into my legs and my legs feel heavy once they no longer feel that way I know all the negativity has left me during this grounding, centering, and balancing meditation. It can vary from a few minutes up to a half hour or so, it depends on how much needs to be cleaned out of you. After my legs feel normal again I ask to be filled with love, kindness, less physical pain, and positive energy. The first time I decided to do this to help me out of the depression, isolation, and anxiety I was feeling I had to sit down because my legs were trembling with all the negativity I was expelling and I was afraid I might fall. Once I sat down I also sent a shoot out from my root chakra to help ground me better which had the side affect of unblocking and cleansing all my chakras. It took me about 2 to 3 days of doing this at sunrise and sunset to rid myself of all the negative thoughts and feelings I let myself build up over 4 months. I now am ready to face whatever the Universe sends my way and be a leader by example again for my coven. My heartfelt thanks to Priestess Hypatia for taking over for me so I had time to get back to being me. I also owe a debt of gratitude to Lady of the Abyss of WOTC for taking time out of her busy schedule to post on our site. I am thankful and honored that so many people took those time to send me encouraging emails and comments. It is good to be back with you all again.